Good news Bangsar folks! 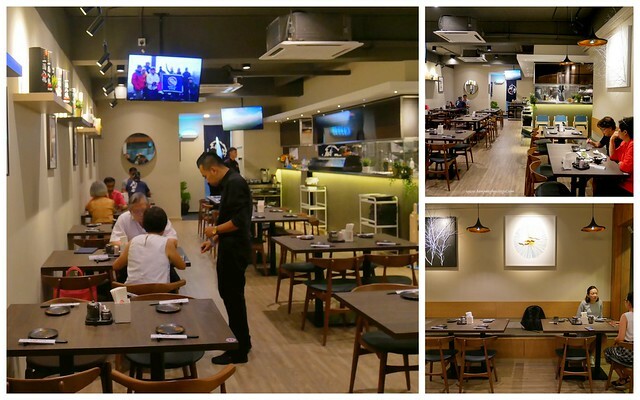 A new Japanese restaurant has popped up on Lorong Ara Kiri 2, Lucky Garden (same row as the famous coffee shops). 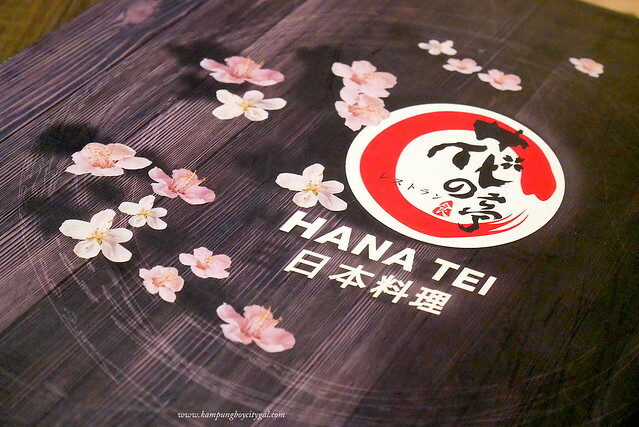 What sets Hana Tei apart? We investigate for you. 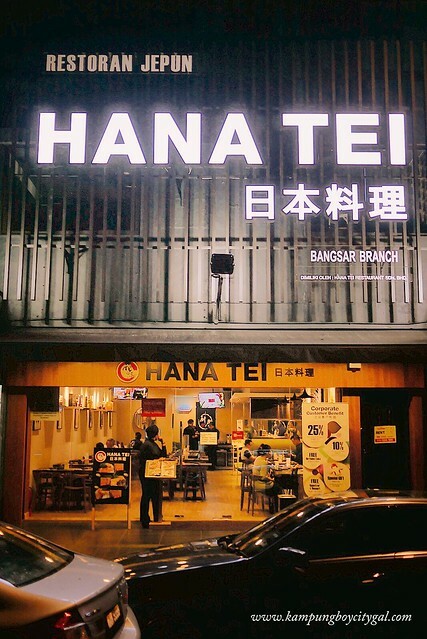 At first glance, Hana Tei looks like a cozy family-style restaurant where both young and elderly getting together at one table and choosing meals from the same menu. They also have branches in Kajang and Cheras Selatan with a loyal following. 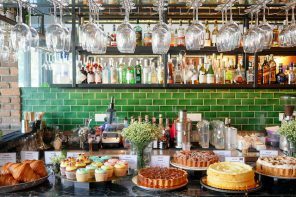 The menu has been developed and prepared by their owners and head chefs with many years of experience. 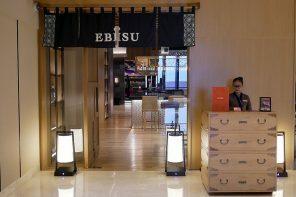 As a result, the menu is extensive; with a mix of creative fusion-is dishes amongst other classic options such as maki rolls, tempuras, yakitoris, nabes and etc. 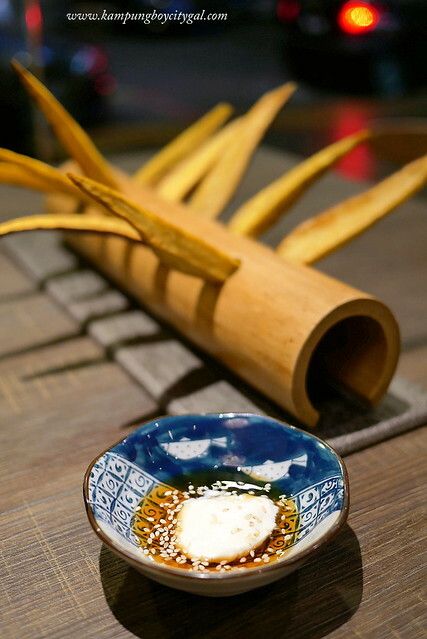 The Sweet Potato Stick (RM 18) with Honey and Cheese dipping sauce was a hearty and fun appetiser. 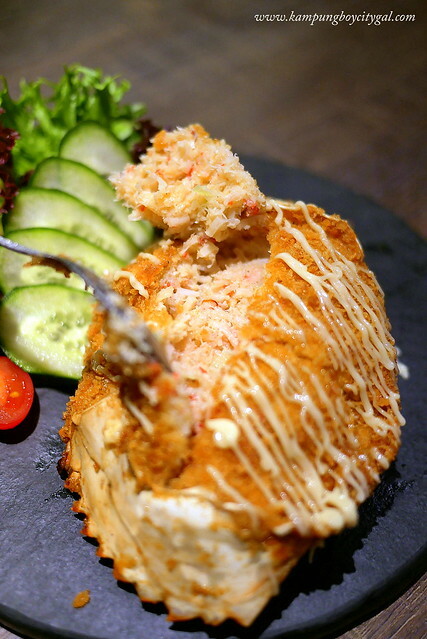 Hana Tei is running a BUY 1 FREE 1 promotion across all their branches for this scrumptious looking Stuffed Crab (RM 15) from 21/11/2018 till year end. 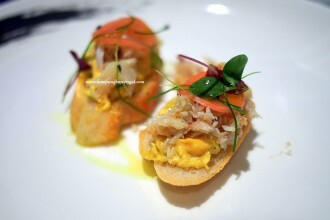 I love crab and was fascinated by the presentation of the stuffed crab. 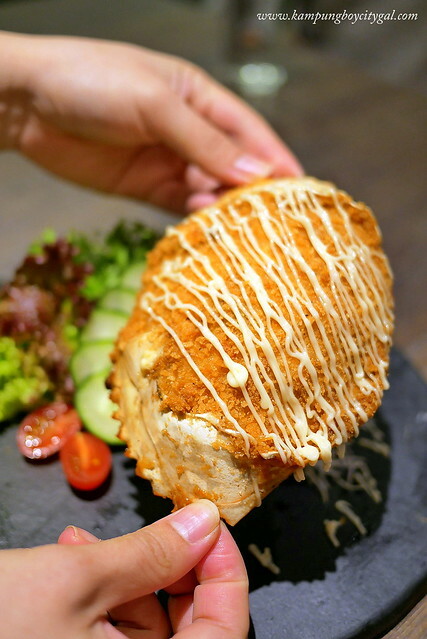 But above all, I just couldn’t resist the scrumptious filling stuffed inside the beautiful crab shells, so sweet tasting and juicy. 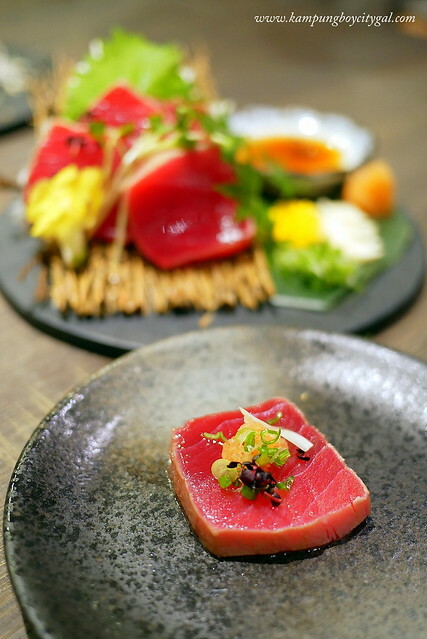 The flash-grilled, tataki-style thick tuna slices is best eaten with the chef’s homemade citrus sauce, grated ginger, onions and garlic slices. 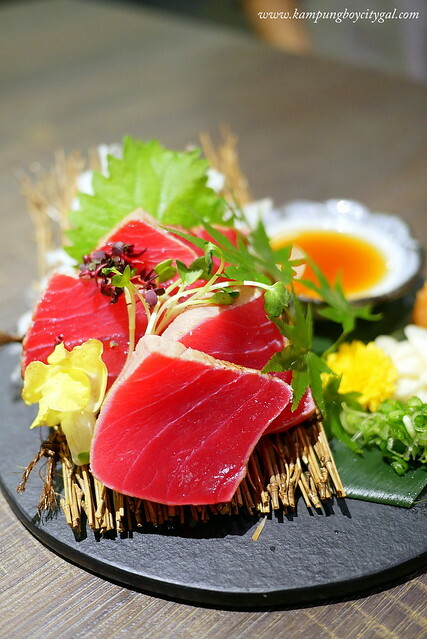 The chef and owner insisted that every slices of sashimi being dished out in Hana Tei must have a certain level of thickness, in order to ensure that satisfying mouthfeel. 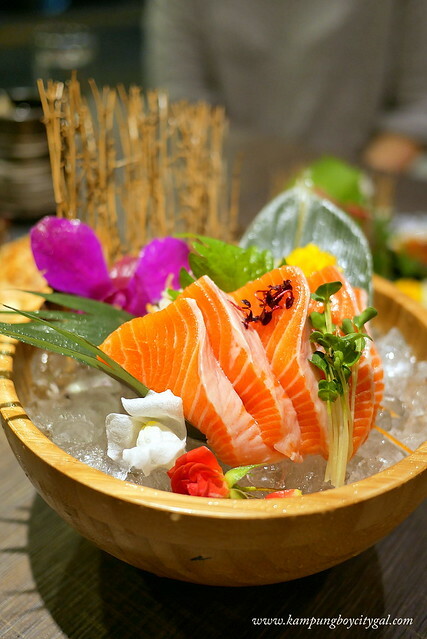 Freshly grated wasabi is being served together with every sashimi order too. 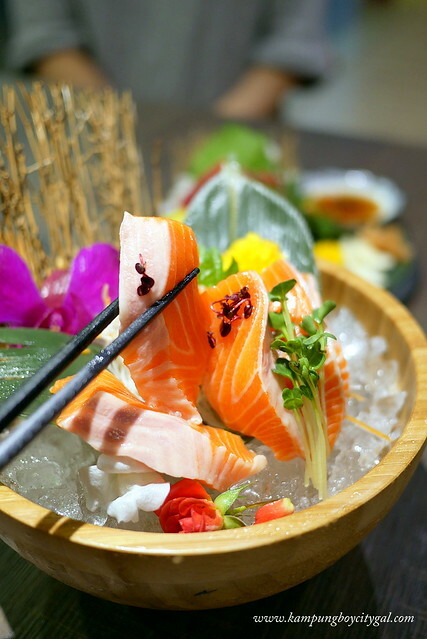 We’re drooling just thinking about that thick slices of juicy sashimi. Gindara Foilyaki (RM 48) is another signature dish here. When we opened these up at the table, the steamy aroma smelled so good. 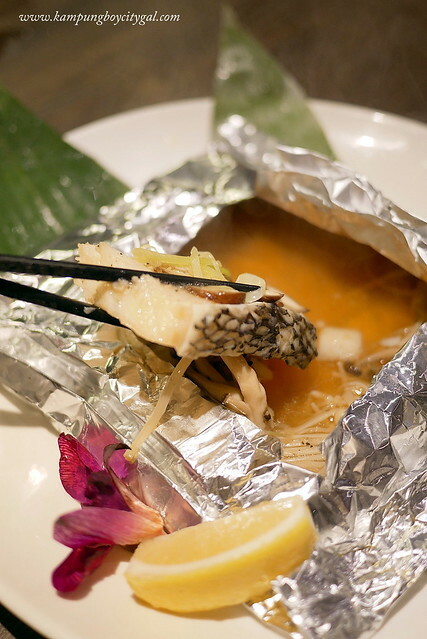 The cod fish slices were perfectly steamed, and the mushroom soaked in that delicious dash sauce were so delicious. Best with a dash of lemon juice! 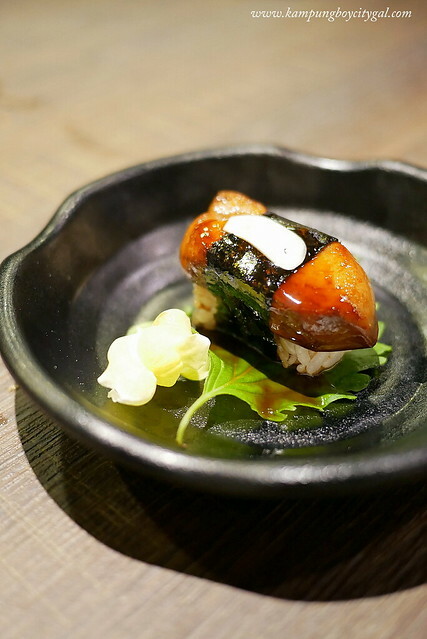 The chef torch seal the foie gras to give it a crispy outside, and creamy inside texture. 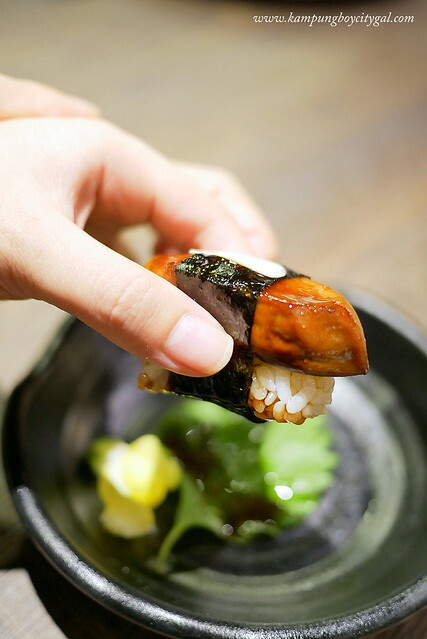 When it combines with sushi rice, the acidity dissolves the fat of the foie gras, and it will feel like a butter melting in your mouth. So, so, so good!! 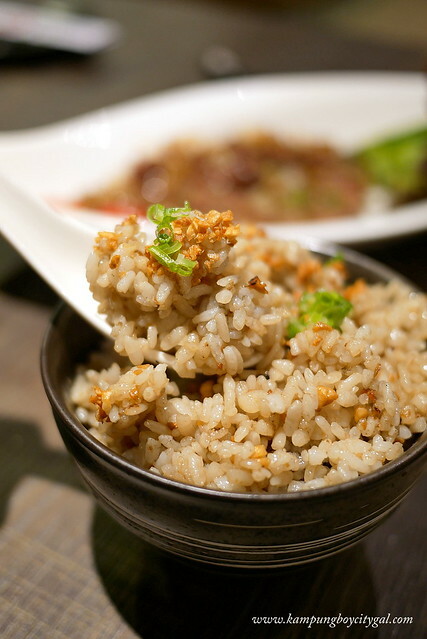 We really enjoyed this bowl of fluffy and flavourful garlic fried rice, with a really nice smoky and “burnt” flavour. I couldn’t resist anything with mentaiko, especially on tamago and obi sushi. The distinctive umami taste is so good! 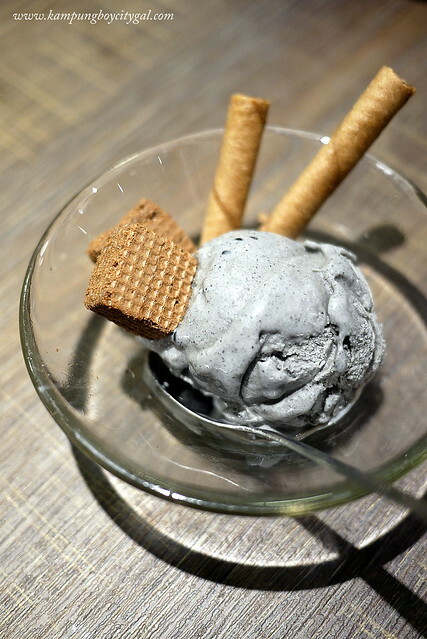 This goma ice cream will add a sweet ending to any meal. It was sweet, savoury with a toasty nutty flavour. 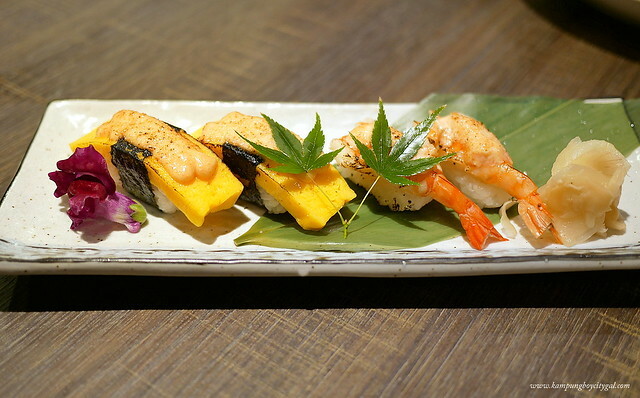 If you are craving for good-quality Japanese food without burning a hole in your pocket, Hana Tei is the place to go to. 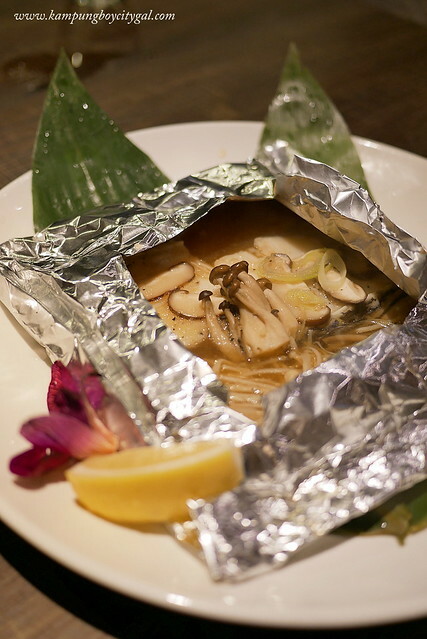 We can already foresee that we will revisit Hana Tei in the near future! No. 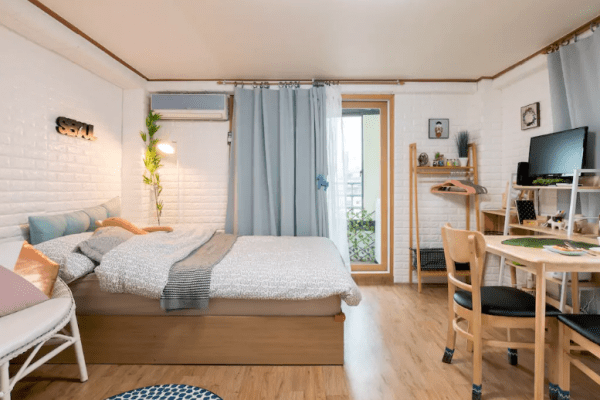 21 & 22, Jalan KP 1/2, Taman Kajang Prima, 43000 Kajang, Selangor D.E. No. 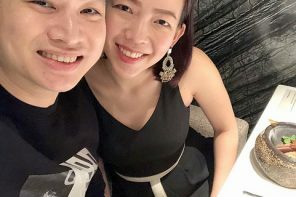 9-G, Jalan Dataran Cheras 1, Cheras Traders Square, 43200 Balakong, Selangor D.E.